David has been offering acupuncture treatments since 1997 after gaining a diploma at The London College of Traditional Acupuncture and his licentiate (LicAc) and becoming a Member of the British Acupuncture Council (MBAcC). He offers treatments at the clinic and times can be arranged through the clinic. He is also available for home visits in the Ealing, West London area. 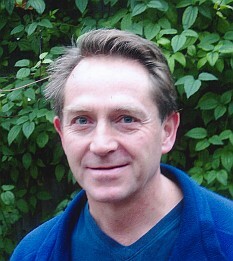 In addition to acupuncture David is a Member of the Register of the Shiatsu Society U.K. and a qualified masseur. He has also studied movement for many years and offers classes in Seishin Kitaido, Bojutsu and Bokutoh. While still working with the Ealing School of Shiatsu he is exploring body expression and 'Spiral Dance' with SpiralArts Dance Theatre Company.